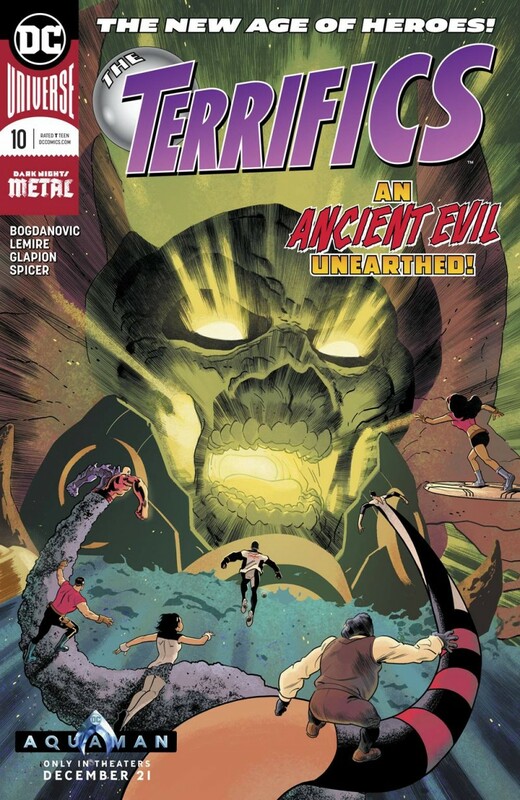 Is there a totally titanic termination in store for the Terrifics? Mr. Terrific and company team with the Tom Strong family in a final battle against Doc Dread, who’s leveraging the power of a dark god to kill everyone in his path. With the fate of the Multiverse AND the Dark Multiverse hanging in the balance, it’ll take a team-up of Terrific proportions to save the day. Just don’t expect the group to escape unscathed when all is said and done?